For example, there was the CapitalOne card I had until about 2006; I loved that card. I had a great 4.9% “fixed” rated on it, and a few times even used special-deal “courtesy” checks on the account to re-finance debt (for an up-front fee, of course). However, near the end, the relationship soured: with no adverse behavior on my part, CapitalOne suddenly decided that rising interest rates meant they weren’t making enough off me with the card, and doubled the rate and converted it to a variable one. 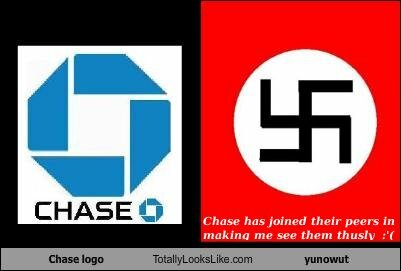 But I thought Chase was different. Shortly thereafter, I opened up an account with Chase, taking advantage of an almost-as-nice rate offer (5.9% — whatever made CapitalOne hit me with “Universal Default” obviously didn’t phase Chase) and some purchase checks to re-finance some other debt yet avoid drawing down savings. The rate was so good, I just went with the “slow payoff” plan, paying only slightly more than the minimum per month, on average. I did this by using Chase’s friendly online banking interface, which (in contrast to the other credit cards I’ve had), actually lets you select “pay the minimum” as an option, without putting in a specific amount. This is important, because other cards’ systems trick you into putting an amount, but then they can arbitrarily change the minimum required, causing your monthly automatic payment to suddenly fall short. That has happened to me many times, but it looked like I was safe with Chase. So after that, it was largely out of sight, out of mind, for years. I was relieved to have a credit source that made it easy for me to do what I want and satisfy my obligations to them — I was a sterling customer; Chase was making a nice steady revenue stream off me (I was, after all, mostly just paying interest, due to the slow payoff). I had changed banks, and amidst the confusion of that move, my source account for the automatic debits was momentarily low. Now, normally this isn’t a big problem, because you can typically get online or on the phone and send in a payment from another source. However, this time it occurred on a Friday, and by the time I noticed, it was after 5pm. The next business day, I called Chase, explaining that I had the money (as usual), but the account was low momentarily while I was waiting for my next deposit to clear (at our banking system’s relative snail’s pace of 2-3 days). I don’t know whether Chase has an official policy of a “grace period”, or was just purporting to be nice to a long-term customer, but the agent on the phone assured me that it would be no problem, and that the payment was making would be counted towards the last pay period (it is irrelevant whether there was a late fee, but for argument’s sake I would consider that reasonable). At that point, I thought everything was taken care of. I did take a look at my next statement and saw a “past due” amount on there, but I assumed it represented the situation BEFORE my call to Chase, so I wasn’t worried. Fast forward to January 2011. Nary a peep from Chase. I realized that over the holidays, a similar situation occurred with my account, with money not arriving to cover the Chase payment in time for the Christmas holiday. I prepared to call Chase to get it sorted out, but before I did, I took a look at my latest statement and was floored: the credit limit had been cut to only slightly more than my balance, and the rate had been jacked up by almost three times. I thought that was pretty harsh for a late payment! But when I called Chase I found out the real problem: Chase had never applied my September payment (1 business day late, recall) to the month it was owed. Instead, they had lied to me, applying it to the next month. I’m not sure what Chase thought the point of me calling was if they thought I DIDN’T want to make the (at the time) late payment, not pay towards the next statement — it makes no rational sense, so I chalk this up to trickery. Here’s the other sleazy part: it turns out that Chase interprets their “pay the minimum” option to refer only to the current statement minimum due. That is, if you have a past due amount, Chase will happily leave that festering on your account, and take only the lesser amount owed just for the current month. This is of course totally unintuitive to normal people, who (like me) generally will assume that “pay the minimum due” has the same meaning as the colloquial “pay whatever is owed today”. As a result, this turned what could have been a one-month mixup into a totally unnecessary 4-month ordeal of having a past due amount on my account that I had no idea was there. When I talked to Chase about this whole mix-up, they had little “sympathy”. They said they “tried to call me” in the last two months, but my number had changed (oddly enough, they didn’t bother emailing me, even though email was set up with my online account). I was pretty angered having been “tricked”; they said they’d review the case, and of course, never did. We all know why: Chase (like most credit card companies) makes tricking and misleading their customers (particularly playing games with the repayment system) a revenue center. I’m sure a lot of you out there are thinking “you snooze, you lose” — I wasn’t diligent enough, I did’t read the fine print, blah blah. To some extent, I agree, and that’s why I’m not “pursuing” Chase about this in any regulatory or legal way. I’m not waiting for Chase to be ethical: I’m simply going to pay the account off in full (done today) and close it. You might think Chase won’t shed many tears, but consider this: by Chase’s own projections (which they helpfully provide in every statement), they stood to make $4,500-6,500 in interest — pure profit — over the remaining “life” of the balance, depending on how fast I paid it down. So by treating me like a “mark”, Chase just cost themselves at least 100% of my balance worth in future profits. Folks at home: the lesson here is you are NEVER safe with a credit account. Eventually, some sort of banking foible (often times, as happened many times to me, due to traveling) will occur that the credit card company can use as an excuse (yes, by contract) to put you over a barrel. My experience is that, before the financial crisis, most banks would be willing to see reason, and understood that it’s not a good idea to piss off their “good” customers — i.e. those who have the desire and ability to pay at all times. Now, it seems, they are operating in full-on sleaze mode. My recommendation for people is now to get rid of credit card accounts even when they are being used purely as a convenience, not a necessity (which is the only situation in which one should ever have a credit account). I have to say, if this is where we stand now, it bodes very very poorly for the future of banks’ credit card departments (already ailing from delinquencies on the “bad” accounts). All this has only proven to me that the big banks really have little call to be surprised when consumers generally hate them. This goes far beyond fees: there is just the general sense that all customers — even long-term, loyal ones with sterling credit — are mere “potential marks” for predatory behavior, and that if they haven’t “gotten you yet”, they WILL ultimately “get you”. And when the banks insist on continuing abusive and deceptive practices (even if technically legal), this is the reaction they are going to continue to get. So long, Chase. I look forward to receiving “please come back to us” emails and letters from you for the next ten years! An “overdraft line of credit”, such as the one offered by ING (I haven’t seen any others but they may exist). This is different than linking a credit card to a bank account; it’s an actual checking account that lets you go $1000 “into the red” with no penalty— you just pay a reasonable market rate of interest on the negative balance (on a daily basis), with no hits to your credit report, and make at least one small monthly repayment. Use your brokerage account, if you have one (and have any assets in it). Most brokerage banks allow you to get a debit card linked to your brokerage account; you can then take cash out that adds to your margin balance. Some brokers (such as Scottrade) link the card to the account directly, so you don’t have to take out cash and then debit from that cash. Thus the margin account debit card behaves exactly like a credit card when you use it — but with no payment due dates at all (you just put money back into the account at your own pace, or simply accept having a higher margin balance). For “non-revolving” loans, borrow from your IRA or get a loan on fair terms from friends or family. You can even set up whatever collateral they might accept, to lower their risk, and hence the interest rate. Using the above options if you want to use revolving or small loan consumer credit would send a strong signal to the big, predatory banks. And if you think you need a credit card, you really need to get rid of it. Everyone is welcome to post their bank credit card predation anecdotes below. The emphasis should be on situations where you had the willingness and desire to pay, but the bank somehow turned it into a situation where you were “scarlet lettered” in the credit world. I am sure things have gotten much worse but after several such scams were pulled on me, I stoppeed using credit cards completely almost 20 years ago. Now I bank with a credit union and use a debit card for all “plastic” transactions. If I don’t have the money, I don’t spend it. That makes sense to me and has worked out just fine. Yes. Screw them. The days of using a credit card for convenience are over as they only think of new sneaky ways to create fees. I use debit and carry lots of cash. Credit is only for strict emergencies. One of my clients – a very high end tax attorney, found Chase completely screwed his credit reporting a late mortgage payments. It was auto deducted from a Chase Acct which always had a month in reserves. Somehow when Chase acquired the servicing they then decided to pay his property taxes and then jacked the payment up a $1000/month which drained the account. He paid his own taxes! By the time he noticed, Chase was reporting him “late” having drained the account over several months. Calls, even with a Chase Branch Manager never fixed anything and he lost out on his dream home. Oh, and need to mention their customer service? In the Phillipines. I lost a $600,000 loan and he still has a late mortgage payment reporting….when they owed him money! This was a long time perfect 10 dream client who advices 350 other millionaires. Way to go Chase….stepping over big dollars for pennies. Thanks “Duh?”, I was waiting for a comment like this. Of course, it is easy to debunk: Chase started this off by lying and saying they applied the payment to the overage. If they hadn’t done that, it would have been just a normal 1-business-day late payment and I would have known I would have had to make two payments for the month. But after that point, I made the mistake of trusting that Chase had taken care of it, therefore assumed my statement (when I looked) was out of date relative to what they told me directly. [Actually, there is an insidious reality when you look behind the curtain of the “closed after business hours” banking system: they use this “down time” to sweep customer funds (even demand accounts) into various other accounts to try to earn extra money on it. Virtually no customers are aware of this, so essentially it is stealing. Anyway, you seem to have missed the key point that in a sense I actually agree with you: Chase has every “right” to do what they did (except the part where they lied, but I doubt I can prove that). But in response to what *I feel* is shoddy treatment, I have terminated the borrowing and this will cost Chase $4,500-6,500. So if this is all about them being “right” in some artificial sense, good for them, but it cost them a hell of a lot given the balance on the account. You can stand where you stand, but customers like me are going to cut your bottom line to the bone and go find innovative banking options with vastly better customer service and convenience (if we use any at all). I think we are all tired of being lied to and ripped off by credit cards companies, the phone company (Verizon in particular), the cable company – just about all the creditors we deal with regularly. Capital One is a den of thieves with mysterious charges appearing – only to be wiped out if you are willing to sit on hold for an hour to complain. Who can understand a phone bill? Why do I have to call and complain about an increase in fees only to be given a new rate that is lower than what I had been paying before? Can’t you just charge me fairly? They think we are wimps who will just sit back and take it. Sadly many people are and never complain because it is just too much bother. I wonder how many million$ these crooks have made as a result. I had a similar situation with Chase. I paid my card off in July. In October I was going to use the card and it was declined. I called to find out what the problem was, I was told I was 90 days late. Now I am in the credit business, when an account becomes delinquent the customer’s phone starts ringing you get interesting mail with past due notices. I had gotten none of these. They had also lowered my limit and jacked the rate. they said it was a $11.00 interest that was not paid. ( I still say they would have called) I also closed that account as well and my regular checking and business checking. Chase just lowered my credit card limit to below the amount that I owe. I am now overdrawn on a credit card for the first time in my life. I don’t know what my rights are, but this seems very predatory. I tried to contact the company and their system is currently down. I will have to keep trying, but I need to learn what my rights are.